Shrewsbury – It has been several years since the Shrewsbury Garden Club hosted a garden tour. Members decided this year is an ideal time to revive the event as the club celebrates its 60th anniversary. A garden tour is scheduled for Sunday, June 25, from 1 to 4 p.m. Proceeds will go to Shrewsbury beautification projects and other community outreach efforts. Coordinating the fundraiser is Diana Karas, club vice president and Junior Membership chair. She’s now in her seventh year as a club member. The self-guided tour will feature six gardens, five at private residences. Tour guests will receive printed descriptions of the gardens with a map, directions and parking information. The tour’s one public garden is maintained by club members on the northwest side of the Town Hall. One of the tour gardens is at a condominium complex located on Lake Quinsigamond with a view of Regatta Point. There, a club member has created a compact garden. The tour will include a garden of a club member in the center of town. In addition to a waterfall and pond, the property’s gardens range from living herbs to perennials. A garden near Route 290, which was featured in the tour several years ago, is returning by popular demand. This English garden has perennials with blooming from spring through fall. The tour will also include a club member’s friend’s garden near Route 9. The married couple’s property has a variety of their favorite trees such as paperbark maple, steeples, stewartia and trident maple. “They focused on making sure there’s color all throughout the growing season,” Karas noted. Tour tickets can be purchased in advance for a $20 donation by postal mailing a stamped, self-addressed envelope and check made payable to “Shrewsbury Garden Club,” PO Box 354, Shrewsbury MA 01545. Tickets will also be on sale the day of the event at the Town Hall garden tour stop from 1 to 2:30 p.m. Children age 12 and under can attend free with a paying adult. 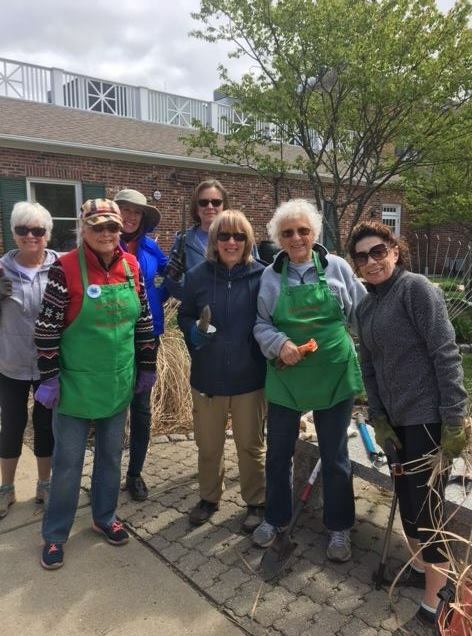 Karas noted that this 60th-anniversary fundraiser will help the club continue its efforts to maintain the Town Hall sensory garden, as well as the gardens at town traffic islands. Additionally, club members periodically offer garden presentations at Shrewsbury schools. For information about the Shrewsbury Garden Club, visit www.shrewsburygardenclub.org.